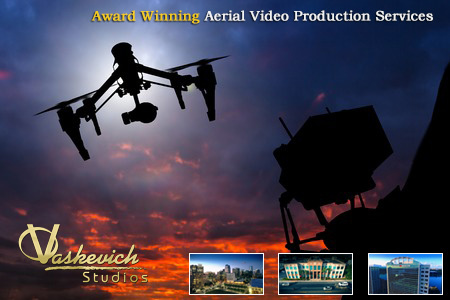 VStudios provides an award winning professional aerial drone video production services. Combined with our extensive expertise in professional commercial aerial photography and commercial video production fields, we can deliver outstanding quality and dynamically captured aerial footage integrated with video editing services. 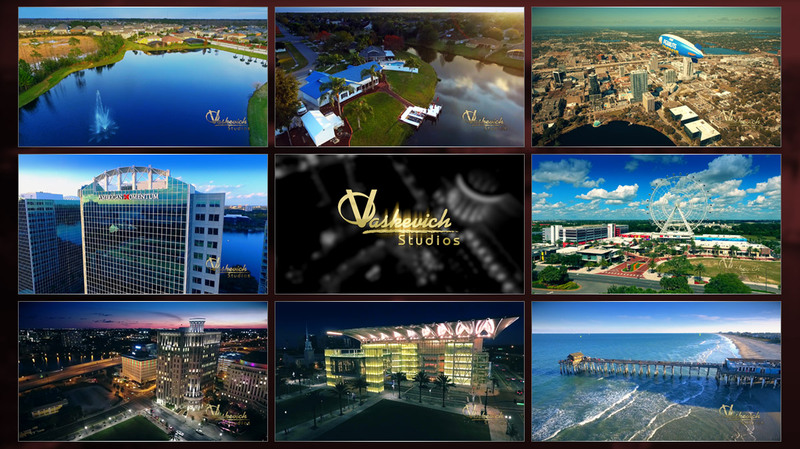 Vaskevich Studios utilizes the most current aerial video production equipment and editing / compositing software. This allows us to create and deliver visually stunning and most importantly highly functional aerial drone video production services. Helping our clients to achieve the intended purpose while adhering to pre-planned budget and time frame are our primary goals. Aerial drone video recording has become an essential tool within commercial and industrial fields that require high definition and ultra high definition video and photography. When playing back the video below, please switch the player to full screen and HD quality. Professional aerial videography requires active responsibility from both aerial videographer and the client. All drone video production services are performed by client guidelines and specifications and is bound strictly to the aerospace for which permission to acquire the aerial video footage is obtained. 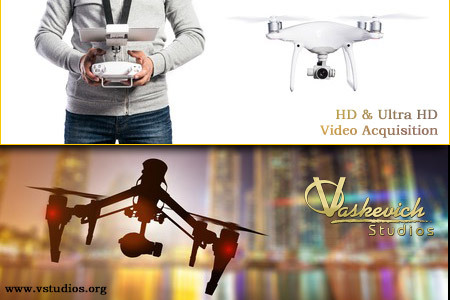 VStudios is capable of high precision drone navigation and operation in both interior and exterior environments. Nevertheless, any number of people present within aerial video production area must be allocated in safe vicinity from aircraft path to ensure the safety or receive special training or guidance to allow their presence within the operational aerospace where aerial video production services are conducted. Our aerial videography service is currently limited to a highest altitude level of 400 feet and at least 3-5 miles of an airport (unless the drone services are to be rendered at very low altitude or within an interior of a building). Otherwise, there are no exceptions to these rules. For drone aerial video services email or call our Orlando Orange County location at (407) 610-2451 for same-day service availability. Special discounted rates for repeat customers for real estate marketing and real estate video tours, architectural design aerial visualization, commercial construction flyovers, golf course video aerial tours, car dealership inventory marketing, virtual property video service tours and marketing videography. Q. What type of video capturing equipment do you use for aerial video production services? A. We utilize the most current variable frame rate video acquisition equipment to deliver high definition and ultra high definition aerial footage. A. Although professional drones that carry video camera equipment can fly as high as 2.5 miles without losing a signal transmissions, the maximum government regulated altitude for commercial video production services is a max of 400 feet in zones that permit operation of remote Quadcopter or Octocopter equipment designated for aerial drone videography. Q. Do you offer in-house video production and editing? A. As a full time professional video production company, we deliver complete complete video production services in-house. Q. Is aerial videography allowed indoors? Only low power aerial video quadcopters with electrical engines must be utilized inside buildings. As an award winning Orlando, FL video production company, we guarantee a total client satisfaction. We strive to fully meet our clients’ requirements for any aerial video production services and fulfill the expectations. Our on-site creative video editing services are available to complement high demands for aerial video production services. Note that the weather conditions might prohibit the aerial photography equipment operations at certain periods of time and thus the drone pilot reserves the rights to reschedule video acquisition projects if the safe operation for aerial drone equipment is not feasible. Our aerial video production services are delivered with competitive market structure and we can offer additional video service discounts for non-profit organizations. Some non-profit organizations may be eligible to receive a free aerial photography service. For aerial drone video services email or call our Orlando Orange County location at (407) 610-2451 for same-day service availability. 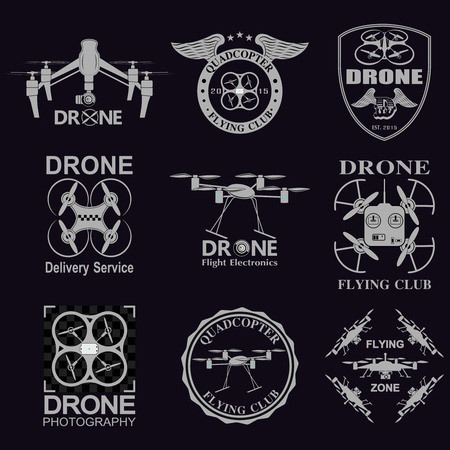 All aerial video production packages include a two-person crew that operates and supervises the unmanned aircraft video production equipment and safety procedures.